Tag Archive | "preserve battery life"
There isn’t a manufacturer out there what will tell you how long that sealed-in battery will last and you’ll be lucky to get any idea of replacement cost, or even possibility, before you buy that product. I’ve got an Ultrabook here that is reporting a warning that the battery needs replacement after just 18 months. On another, that I’ve been using for well over a year, the wear level is just 14%. 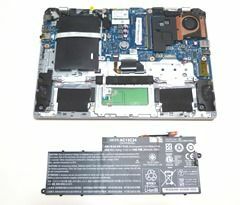 In this article you’ll find out why Ultrabooks have sealed batteries, how to check your battery health, tips for prolonging the life of your battery and some examples of Ultrabooks with removable batteries.